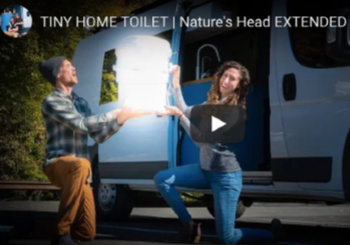 Safety is what you should be looking at, whether you are within the comfort of our brick and mortar house or out camping in your recreational vehicle. 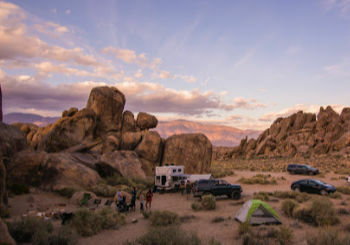 The United States has seen a transition in the use of RVs over time, from being camping vehicles to full-time houses and offices. When you are living out a life from a moving vehicle, the need for ensuring its security increases. In 2017, wholesale sales of camping tents/shelters amounted to about $326.9 million. 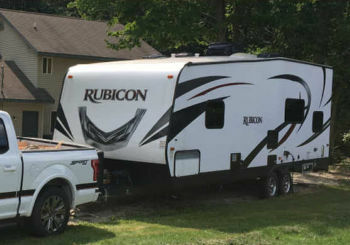 In 2018, sales of RV parks and recreational camps in the U.S. amounted to approximately $6,201 million. RVs are easily susceptible to break-ins when parked in isolated locations. It makes the need for an RV alarm system all the more necessary. The likelihood of falling victim to an RV theft is 1 in 25,000, but you never know when you could be the one. With an annual expenditure of approximately $2.5 billion on camping equipment including RVs, it is vital to ensure the safety of these expensive assets. While you are out looking for a camping site or to find some food, an alarm system would act as your eyes and ears in your RV. The alarm systems built today come with an innate feature of alerting you on your smartphone device of any breakouts and also the surroundings of the RV’s location. 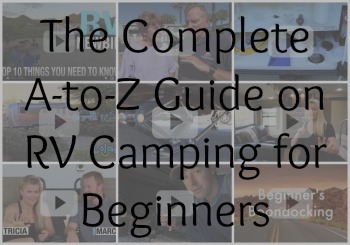 So, whether you are camping alone or have your baby or pet waiting in the RV while you are out, their safety is not going to be a worry for you. Similar to a house alarm system, these alarms are installed on the doors and windows of your RV. The alarm will alert you when the door or window of the RV is opened while you are asleep or away. 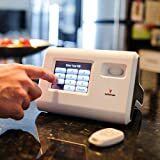 The alarm might trigger and start ringing or send an alert to you on your phone as well as the local authorities depending on how advanced the alarm system is. These are advanced security systems which not only alert you against theft but also in case of a fire or gas leakage. These incorporate door and window alarms with motion detectors and storage compartment alarms which notify you directly on your phone. Taking RV alarm systems a step ahead is the, motion-triggered video surveillance; a capable security system you may consider installing.The video surveillance systems detect and record can detect trespassers and notify you as well as your integrated private security network. Once you receive the video, you can decide whether local authorities are needed for aid or not. The surrounding area of your RV can be protected by installing digital posts around your campsite or storage area. When an intruder enters the protected area, the alarm would go off and start ringing or notify you on your phone. The only drawback of using the virtual territory system is the possibility of false alerts when someone unknowingly passes by the indicated area or if a stray or pet animal crosses the territory. Furthermore, security systems can be enhanced by using different security measures and combining them to work together. For example, security stickers and flood lights may be used along with alarms to ensure overall vehicle security. Dewalt MOBILELOCK DS600 is a portable wireless alarm system well-suited for protecting your RVs against any possible thefts. The DS600 a handy device, about the size of a deck of cards. It helps to monitor and locate any valuables to which it is attached, efficiently. 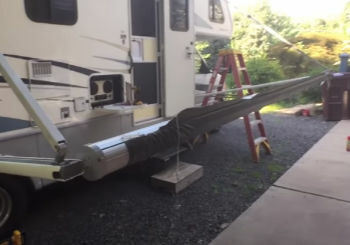 Once mounted on your RV at any location, it is not likely to attract or alert any intruders even from the visible eye. Bluetooth radio which can be connected and enabled through your mobile device. Customization: The DS600 allows you to customize your exact security needs through its sensitivity and filter features. Movement: A built-in Mobilelock accelerometer enables movement detections of your RV assets. Tilt Sensor: Alerts can be sent if the DS600 tips forward or backward or tilts to one side or another. The user can select and apply filters for different degrees of tilt that would create an alarm. Vibration Sensor: The piezo vibration sensor in the DS600 MOBILELOCK detects sound vibrations through a seven-stage sensitivity filter which triggers when multiple vibrations are detected in a specific period. Tamper Sensor: MOBILELOCK consists of a plunge tamper on the back. In an event when the device is removed from the mounting surface, the tamper button will release and the alarm will ring. This will enable you to know when someone tries to fiddle with your alarm system. Temperature: The DS600 not only alerts you against theft but also informs you when the temperature of your RV rises of falls compared to predetermined criteria set for it. Siren: The siren can be set to ring under different scenarios such as when the power is connected or disconnected, the device is disarmed, and the siren will ring continuously, for you to find it. It is entirely weatherproof so, when installed on the exterior of your RV, no damage would be caused to it under extreme weather conditions. It lasts over a month on a single charge. Multiple sensors help to track everything from the movement to the temperature to even the battery level. GPS locator comes in handy in case the vehicle is left unattended with the keys inserted. Burglars cannot get away far too long because the GPS locator can guide you or the local authorities to your RV instantly. A built-in siren goes off and notifies the surroundings when a theft occurs. The Reolink Argus 2 is a security alarm and camera device with a wireless mechanism. It comes with a rechargeable battery with a long lasting power per charge. 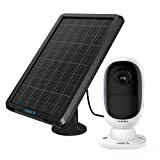 Once connected with the Reolink Solar Panel, it will receive uninterrupted power all day. Upon mounting it in your RV, it will not only detect the presence of intruders but also record and notify you through a real-time reporting mechanism. Viewing Angle: The Reolink Argus 2+ comes with a 130 degree viewing angle which gives greater coverage to detect and notify about any trespassers. Night View: The surveillance cameras with a full HD 1920*1080 resolution, can capture sharp and bright videos. It has been built with a starlight image sensor, enabling a night vision ranging up to 36 feet. A feature which allows you to keep an eye on activities around your RV day and night. Instant Alerts: An essential alert notification feature which allows you to get push notifications, emails and siren alerts in real time. You only have to tap the push notification and enter the live viewing page. Remote Access: Regardless of whether you are close to your RV or not, the Reolink software ensures you can remotely access, control and view the live activities around your vehicle. Local and Cloud Storage: This device comes with an SD card slot and works with a Reolink Cloud that stores all the motion-triggered recordings which may be viewed later to reinstate the security of your RV. It is an IP65 weatherproof device which enables you to position the weather-resistant solar panel to maximize sunlight exposure. With the solar panel enabled functionality, you don’t have to go through the hassle of repeatedly charging your device. Motion detectors and sensors of the Reolink Argus 2+ enables to detect any intruder effortlessly and notify you in real time. The wifi IP camera can work anywhere directly with a 2.4G wifi router without the need of an additional device. 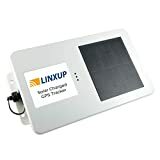 The Linxup LAADS1Solar GPS Tracking Real Time Tracker is a security device which can be installed on your RV and does not require a power source to make it work. It must be mounted to receive complete exposure to sunlight. It reports once every 2 hours when the vehicle is stationary and every 10 minutes when in motion. Power Saver: It has been custom-made for non-powered equipment tracking which is an advantage for use in an RV as an additional power source will not be required for a security device. It can operate on solar power for up to 10 years. Temperature Resistant: The device is temperature resistant and can properly operate between temperatures -22°f to +158°f (-30°c to +70°c). Weatherproof: It’s IP67 rated weatherproof case enables the Linxup LAADS1 to be deployed in Marine or desert environments. 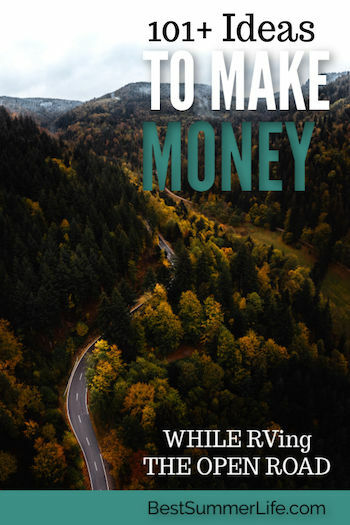 A benefit for you if you own a marine RV such as a yacht or a boat. Multiple Installation: The Linxup LAADS1 Solar GPS Tracking tool comprises of multiple installation options as well as multiple inputs and output ports along with a 3G cellular network. The tattle is wireless, portable alarm system with a state of the art technology to protect your RV from any theft. It is a user-friendly device which can be installed within 60 seconds for use. With an amazing battery backup, once fully-charged the tattletale can be used for 20 hours without the need to be connected to a power source. Complete Emergency Monitoring: The tattletale comes with a 30-days full emergency monitoring, free text and email alerts with 24/7 live operator access. The key fob with the tattletale allows you to arm, disarm or set off a panic alarm. Tamper Proof:This device comes with a rattlesnake technology which does not allow the device to tamper once it is activated. As soon as the device is triggered, rattlesnake technology will contact you with one-sixth of a second. Sensor Integration: The sensor integration of tattletale not only senses human intrusion but also manages 50 smoke, motion, door, and glass-break sensors within a radius of 300 feet. Advanced technology sensors can be placed up to 300 feet away which is capable of protecting the surrounding area even beyond walls. Pet Button: An additional feature of the one-touch pet button prevents a false alarm and allows your pet to roam around freely in the vicinity. Motion Detectors: The tattletale is integrated with a built-in motion detector with a 30 ft, 90-degree passive infrared motion sensor located on the front of the device. A siren goes off each time motion is detected within the motion sensor vicinity. Depending on your requirements and budget, the ideal device for your use may be different than ours. But if it’s not, then this is the system that I recommend that you get too.